Luxe Wanderlust, A Hampton Luxury Travel Event was held on Saturday, August 18th at one of the Hamptons most exclusive destinations, The Topping Rose House. Luxe Wanderlust invited travel ambassadors to entice their guests with lavish destinations, which included all-inclusive resorts, health retreats and golf excursions and Boards of Tourism to luxury bound destinations. The event had an array of brands to tempt the palate as well from Sushi and Thai as well as a showing of local wines and libations. 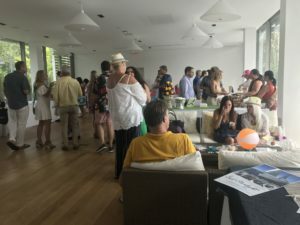 Held in the modern and chic annex of the Topping Rose House, the event was abuzz with laughter, networking, and music from DJ’s Angelica Morrow and Meredith O’Connor that kept the vibe going with high energy tunes. Attendees to the event included press, social media representatives, charity event collaborators and ticketed guests. 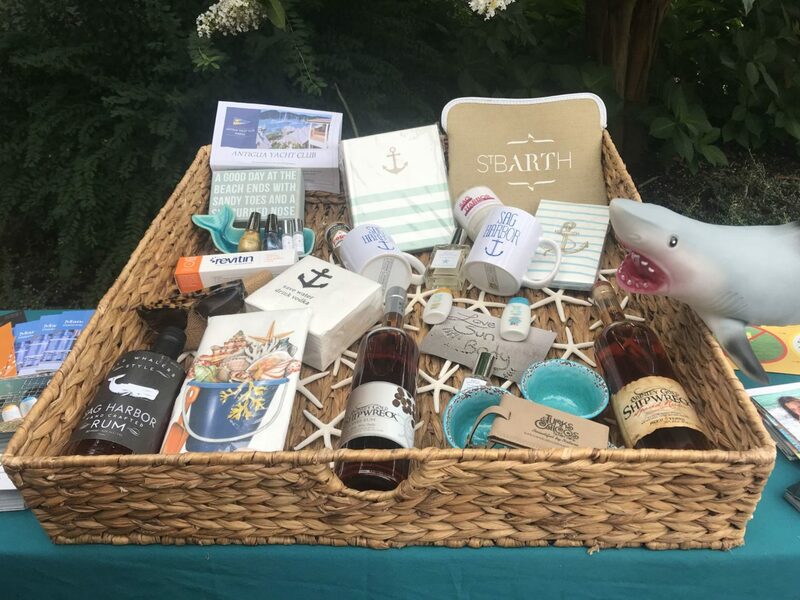 Luxe Wanderlust raffled off an amazing gift basket that included items from A stay at Viceroy Los Cabos, Sag Harbor Rum, Revitin toothpaste, Sinful Shine Nail Polish, Maui Jim Sunglasses, a luxury trip to the American Beech Hotel in Greenpoint and gift cards from the many generous ambassadors. All the proceeds from the raffle were donated to The Retreat for Domestic Violence. The Retreat provides domestic violence and assault services on Eastern Long Island. Sail Starlight: Climb aboard with Captain Toby! Starlight is a modern 58′ luxury sailing yacht available for summer day charters and sailing vacations. The ship is based out of the Eastern Caribbean during the winter months and is available for Captain-only and Fully-crewed luxury charters from the Virgin Islands to the Grenadines. During the summer, Starlight is available for day charters in Sag Harbor and Shelter Island, New York, and available for sailing vacations throughout New England. A large, comfortable, modern and fully-equipped monohull sailing yacht, Starlight is ideal for both day charters and sailing vacations. Sen: Sen Restaurant provided several sushi rolls and light fare which were not only a visual bounty for the eyes but a glorious fresh taste for the soul. Their asparagus and vegetable rolls were in high demand. Sen Restaurant is a Sag Harbor mainstay destination for fine Japanese Cuisine. Croteaux Vineyards: Located in Southold, New York, on the North Fork of Long Island, the only vineyard in the USA exclusively dedicated to growing Vinifera grapes, essential in making Rosé wines. Planted in 2003, the Vineyards, Winery and Tasting Garden are set against the backdrop of two historic farms which have been in continuous agricultural production since the 1700’s. The wine was refreshing with a pleasant aroma and light taste. Viceroy Los Cabos-Mexico: The new resort boasts a 5-star experience filled with opulent and luxurious amenities. Surrounded by wrap-around water, this resort is the ultimate dreamscape. Explore the all-natural elevated walkways, with the cool blue sea beneath you and the warm sun above. Wherever you turn, a new discovery awaits, be it the state-of-the-art fitness center, the full-service spa, or the myriad of restaurants that showcase local ingredients. The flavors and rhythms of Mexico’s Baja California peninsula are all within reach. From whale watching on the Pacific to art walks in downtown San Jose, you’ll find your curiosity piqued, and your zest for adventure will be at an all-time high. 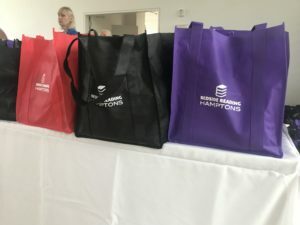 All guests were given a bag of goodies upon leaving the event which included an assortment of books to add to your summer reading list, nail polish, toothpaste and other goodies. Previous Post Wine, Music and Polo – What’s Not to Love?